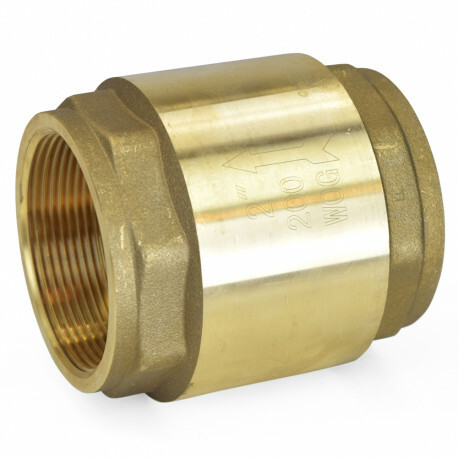 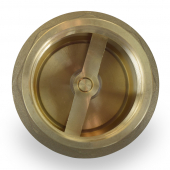 In-line lead-free brass spring-loaded check valve with 2" female NPT threaded connections. Arrow on the valve body shows direction of the flow. Can be installed in any direction and suitable both for plumbing and heating systems. Construction: Lead-Free Brass Body, Rubber Seat, Stainless Steel Spring.